Is a feminized Indica-dominant cannabis strain which offers OG Kush fans the chance to cultivate a new state-of-the-art version. If you buy 707 Truthband by Emerald Mountain cannabis seeds you will find out the high-quality of Californian marijuana. Is a Sativa-dominant feminized cannabis strain that belongs to the Diesel family. 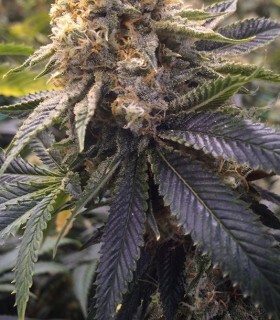 If you buy Amherst Sour Diesel cannabis seeds, you will have the chance to grow a multi-featured cannabis hybrid. 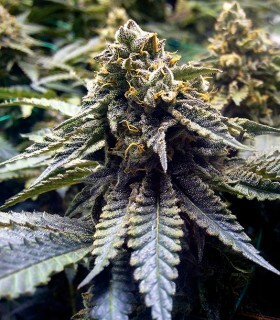 Is a feminised Indica-leaning cannabis strain that will greatly please all Kush fans. If you decide to buy Black D.O.G. cannabis seeds, you will discover a highly easy-to-grow plant, exuding potency and exoticism, that lives up to the standard of excellence set by the Kush lineage. Is a Sativa/Indica/Ruderalis feminized cannabis strain and the autoflowering version of a great seed. If you buy Blue Dream Auto cannabis seeds, you will obtain a fast, high-yielding, multi-featured automatic cannabis strain. 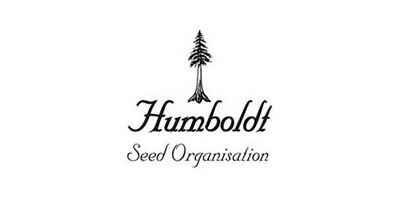 Is the newest and most technologically advanced creation of Humboldt Seed Organization. The iconic California Sativa hybrid Blue Dream has been bred to provide not only the outstanding original traits but also all the benefits of CBD. Is a feminized Indica-dominant cannabis strain that boasts its pedigree. 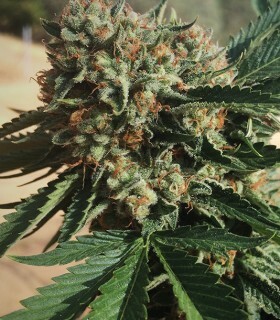 If you decide to buy Blueberry Headband marijuana seeds you will be able to grow a balanced strain with proven quality and the strong character typical of the finest Californian marijuana. Is a Sativa/Indica/Ruderalis feminized autoflowering cannabis strain that combines the cannabis richness of the UK and California. If you buy Bubba Cheese Auto cannabis seeds, you will be able to grow an original plant with a short flowering period and great features. Is a Indica-dominant regular cannabis strain characterized by an incredible potency. 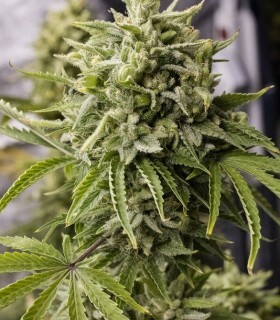 If you buy Bubba Kush cannabis seeds, you will be able to grow a powerful, high-yielding, compact cannabis hybrid that boasts several soothing properties. Bubba Kush 2.0 by Humboldt Seed Organization is an Indica-dominant feminized cannabis strain that displays all the potential of Bubba Kush in this improved version. Bubba Kush Auto by Humboldt Seed Organization is an Indica-dominant feminized autoflowering cannabis strain much acclaimed and sought after by Indica followers. Bubba’s Gift by Humboldt Seed Organization is a feminised Indica-dominant cannabis strain that provides the possibility to cultivate one of the best Indica marijuana seeds available nowadays. Chemdawg by Humboldt Seed Organization is an Indica-dominant regular cannabis strain that allows you to discover the outstanding genetics originally created by the renowned American breeder Chemdog. Chocolate Mint OG by Humboldt Seed Organization is a feminized Indica-dominant cannabis strain which subtly blends some delicious nuances of chocolate together with the flavour and aroma of the mint. Dedoverde Haze by Humboldt Seed Organization is a Sativa-dominant feminized cannabis strain that allows you to discover the exoticism of Californian cannabis. 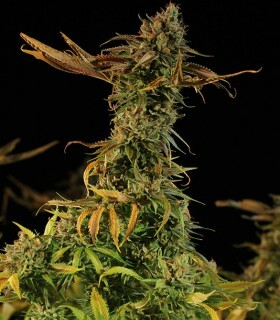 If you buy Dedoverde Haze cannabis seeds, you will be able to grow a stunning fast-flowering Sativa hybrid with an excellent flavour and aroma. Desert Diesel by Humboldt Seed Organization is a delightful, Sativa-dominant feminized cannabis strain that flowers fast and is perfectly rounded. 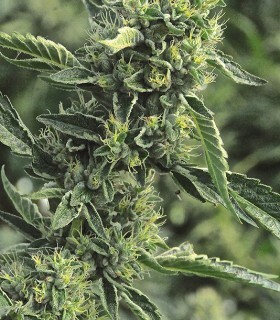 If you buy Desert Diesel cannabis seeds, you will be able to enjoy a harmonious Sativa strain. Dr Greenthumb’s Dedoverde Haze Autoflowering by Humboldt Seed Organization is a Sativa-dominant feminized autoflowering cannabis strain that produces a fast-flowering plant with excellent features. Dr. Greenthumb’s Em-Dog by B-Real of Cypress Hill by Humboldt Seed Organization is an Indica-dominant feminized cannabis strain that presents the breeding work of an expert American grower. Ewe-2 by Humboldt Seed Organization is an Indica-dominant feminized cannabis strain that develops a fast-flowering plant with several soothing properties. If you buy Ewe-2 cannabis seeds, you will discover a hybrid with great potential that will captivate both Indica lovers and those seeking high yields with a short flowering period. Our very own Green Crack is a Sativa-dominant feminized cannabis strain conceived for cannabis connoisseurs. If you buy Green Crack Seeds, you will discover a rounded, stable, high-yielding, fruity plant that grows incredibly fast. 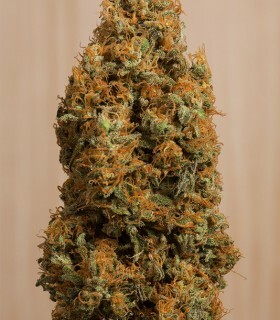 Green Crack CBD by Humboldt Seed Organization is the result of many generations of meticulous selection using our long-evolved instincts backed by science and technology. Lemon Garlic OG by Humboldt Seed Organization is a feminised Indica-dominant cannabis strain which allows you to grow a new high-end version of this Californian prodigy. Lemon Juice Express Auto by Humboldt Seed Organization is an Indica-dominant feminized autoflowering cannabis strain perfect for discovering a high-quality Auto. Lemon Kush Headband by Humboldt Seed Organization is a Sativa-dominant feminized cannabis strain that encompasses the best California has to offer in the field of cannabis. Lemon Thai Kush by Humboldt Seed Organization is a multi-featured Sativa-dominant regular cannabis strain. If you buy Lemon Thai Kush cannabis seeds, you will discover a high-yielding, fast-flowering hybrid with Haze flavour and aroma. 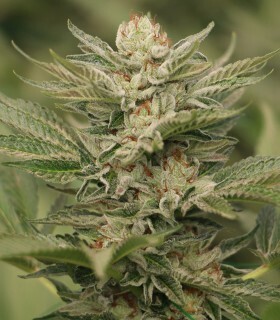 Lost Coast Hash Plant by Humboldt Seed Organization is an Indica-dominant feminized cannabis strain and the new version of the renowned Hash Plant. Buy Lost Coast Hash Plant cannabis seeds and discover a new way of obtaining the best resin extractions with soothing properties. Lost Coast OG by Humboldt Seed Organization is an Indica-dominant feminized cannabis strain with which HSO presents a unique version. 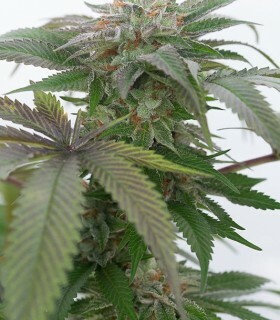 If you buy Lost Coast OG cannabis seeds, you will be able to grow an impressive vigorous Indica hybrid that flowers fast and boasts exclusive flavour and aroma. 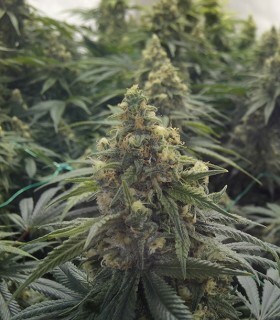 Lost Coast Skunk Auto by Humboldt Seed Organization is a Sativa/Indica/Ruderalis feminized autoflowering cannabis strain and a top-quality version of the hybrid that marked the history of cannabis forever. Master Kush by Humboldt Seed Organization is an Indica-dominant feminized cannabis strain that allows you to rediscover a plant that rocked the counters of Dutch coffee shops in the mid 90’s. OG Kush Auto by Humboldt Seed Organization is an Indica-dominant feminized autoflowering cannabis strain and the automatic version of the iconic OG Kush. OGKZ by Humboldt Seed Organization is an Indica-dominant feminized cannabis strain much sought after in the hills of Mendocino, CA. If you buy OGKZ seeds, you will have the opportunity to enjoy one of our most enjoyed hybrid crosses of the year. Pineapple Skunk by Humboldt Seed Organization is a Sativa/Indica feminized cannabis strain and a new all-round Skunk hybrid. 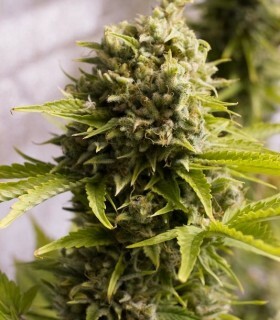 If you buy Pineapple Skunk cannabis seeds, you will discover a high-yielding, fast-flowering, vigorous marijuana plant that has been successfully stabilized. Sapphire OG by Humboldt Seed Organization is an Indica-leaning feminised cannabis strain that is sure to cast a spell on the most demanding OG fans. This exclusive version stands out for having little to do with other OG-derived genetics. Sour Blueberry by Humboldt Seed Organization is a Sativa-dominant feminized cannabis strain that will delight Sativa lovers with its mouth-watering flavour. 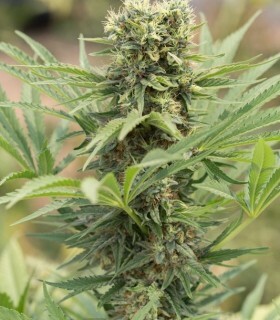 If you buy Sour Blueberry cannabis seeds, you will be able to complement your garden with a novel plant that combines an intense fruity flavour with a premium quality Sativa effect. Sour Diesel #2 by Humboldt Seed Organization is a Sativa-dominant regular cannabis hybrid and one of the best strains you can find on American soil nowadays. 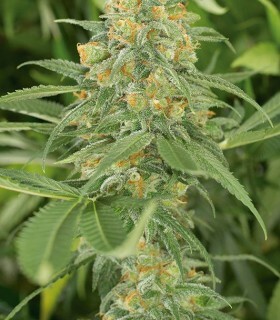 Buy Sour Diesel #2 cannabis seeds and discover an outstanding hybrid with a unique flavour and effect. Sour Diesel Auto by Humboldt Seed Organization is a Sativa-dominant feminized autoflowering cannabis strain perfect for discovering the auto version of its renowned predecessor. Three Blue Kings by Humboldt Seed Organization is an Indica-dominant feminized cannabis strain much sought after on American soil. 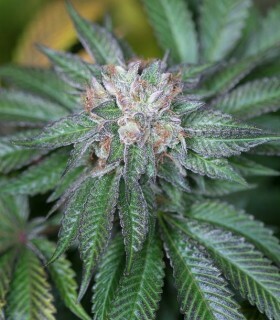 If you buy Three Blue Kings seeds, you will have the chance to enjoy some of the best cannabis crosses in the USA. Trainwreck by Humboldt Seed Organization is an Indica-dominant feminized cannabis strain with remarkable production and a devastating effect. 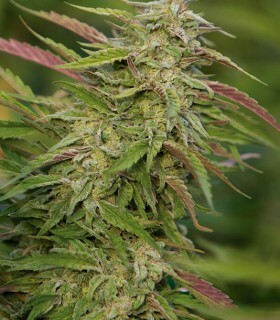 If you buy Trainwreck cannabis seeds, you will be able to complement your garden with a hybrid aimed at thrill seekers. UK Cheese Auto by Humboldt Seed Organization is the autoflowering version of the Original Cheese. Humboldt is the epicenter of the marijuana industry in Northern California, which is the most reknown marijuana production area in the United States. Humboldt Seeds Organization is a collective of growers and breeders working in the Humboldt area, producing high quality organic marijuana for dispensaries, collecting and testing seeds and clones of the best strains, researching into specifically medical strains, and breeding the best cannabis genetics California has to offer. Our philosophy is to go as green as possible, so our business is based on sustainable economy practices, including the use of only organic nutrients, the respect and integration with our environment, recycling all the waste, and helping local businesses by buying green and local. Our aim is to offer the best Californian genetics to the global cannabis community so anyone can benefit from the Medical applications of our work. We hope to help people, and we plan to offer exciting new strains in the following years, including specific medical strains being developed right now.